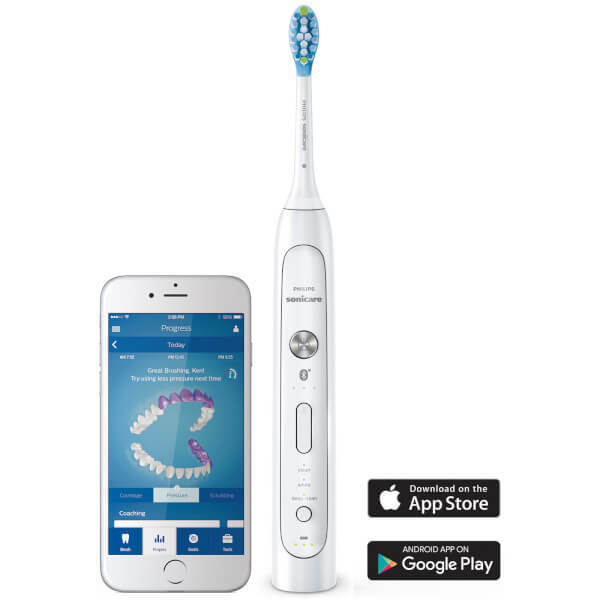 Get your oral hygiene up to speed with new technology through the Philips HX9191/06 Sonicare FlexCare Platinum Connected Sonic Electric Toothbrush with App. The pioneering toothbrush utilises Smart Sensor technology to send your custom brushing data to the Sonicare app in real time via Bluetooth®, which then analyses the recordings and provides personalised feedback and coaching for a truly complete clean. Use the app to set your own daily goals and specific dental needs, from whiter teeth to targeted plaque build-up, with a 3D mouthmap for helpful hints and reminders of ways to optimise your regime. 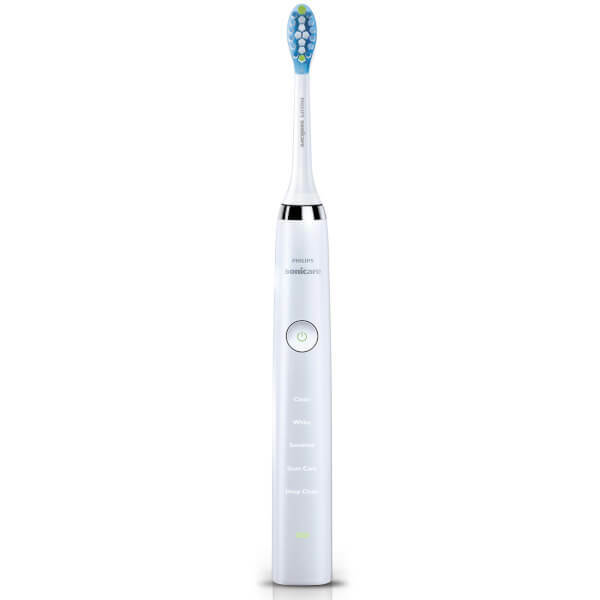 With up to 31,000 strokes per minute, the toothbrush is powered by Sonicare technology that delivers a superior clean that you can feel, working to remove up to 10x more plaque than manual brushing. The AdaptiveClean brush head features flexible bristles and a unique shape that follows the contours of teeth and the gumline, constantly adjusting to offer up to 4x more surface contact*. Achieve your healthiest smile yet with this intelligent, interactive toothbrush that will transform the way you brush your teeth forever. Clean mode for a superb everyday clean, White mode for stain removal, Deep Clean mode delivers exceptional results. Fully charged, your handle has enough battery life for three weeks of regular use. Smartimer helps you reach the dental professional-recommended brushing time of two minutes. *Compared to the DiamondClean brush head.